Catering by Putting on the Ritz Catering, The Great Room is a beautiful, romantic setting in the Historic Savage Mill. Built in 1820, The Great Room includes an expansive deck overlooking the scenic Little Patuxent River and the Bollman Truss Bridge, the last standing iron truss bridge in the world. 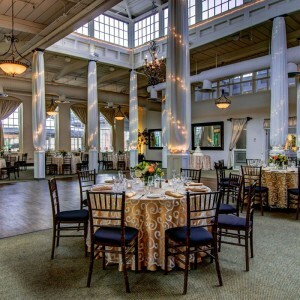 Visit The Great Room at Historic Savage Mill where you will find a huge “secret” ballroom with grand 14 ft. windows, soaring ceilings, a roomy dance floor and all the ambiance to make this one of a kind facility, perfect for your wedding or next memorable occasion.